About Size: ❀ Please compare the size chart carefully before order. Use similar clothing to compare the size ,Please don't only judge by the size "S,M,L".❀ just look carefully the detail of size data, which is the new reversion US SIZE!please allow 1-3cm differs due to manual measurement, thanks (1 cm=0.39 inch,1 inch=2.54 cm) ❀ Size details : ❀One SizeWaist:50-110cm/19.6-43.3"Length:40cm/15.7" ★About the color: images are just examples of reference. Due to the limitations in photography and the inevitable differences in monitor settings The colors in the photo may not correspond to 100% with those in the elements themselves. 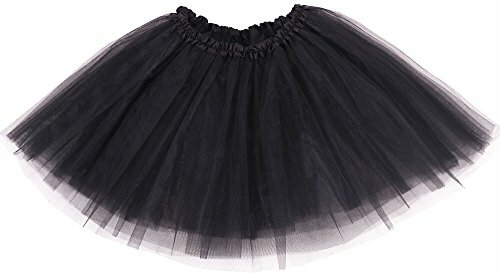 One Size Fits All Tutu Ballet Skirt with 5 Layers of Tulle & Satin Lined WaistbandWhether you're putting together a costume for cosplay or Halloween or getting ready for a dance performance, the Better line Tutu Ballet Skirt is sure to get your toes twinkling. This professional quality ballerina skirt is perfect for any costume and sure to have you feeling like a star! 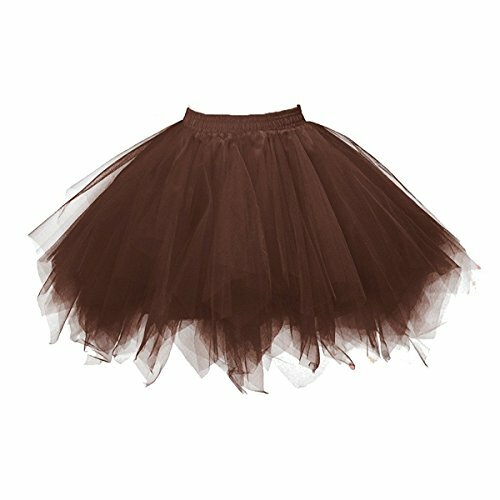 Made from five layers of high quality tulle, the Better line Tutu Ballet Skirt has a full shape and a classic look that you're sure to love. At the waist, the tutu features a satin-lined waistband that fits comfortably without slipping or digging into your skin. 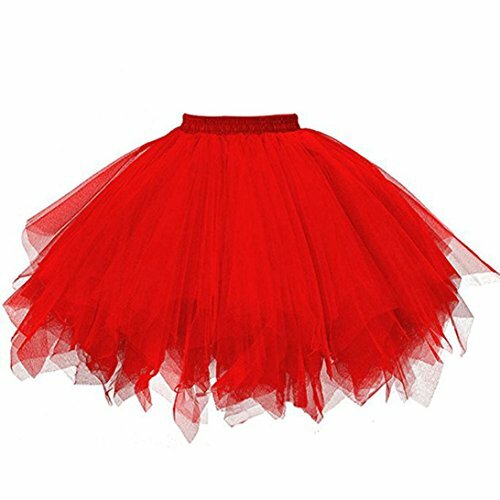 Fully elasticated, the waistband stretches to fit waist sizes 26 to 50, making this a one size fits all tutu for teens and adults. 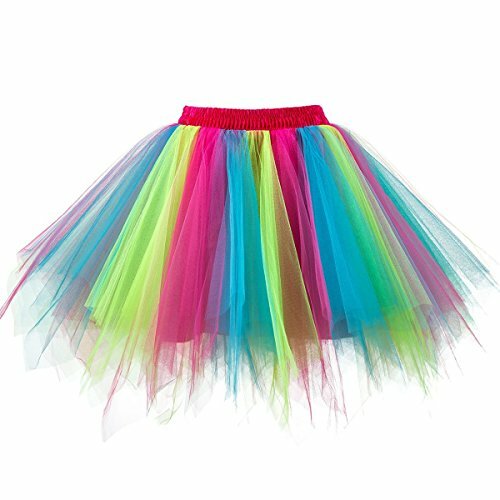 The Better line Tutu Ballet Skirt comes in seven colors to match any costume. Whether you choose the Bright Red, Pink, Aqua Blue, White, Black, Deep Purple or Light Purple, you're sure to look beautiful in this fine quality dancewear. 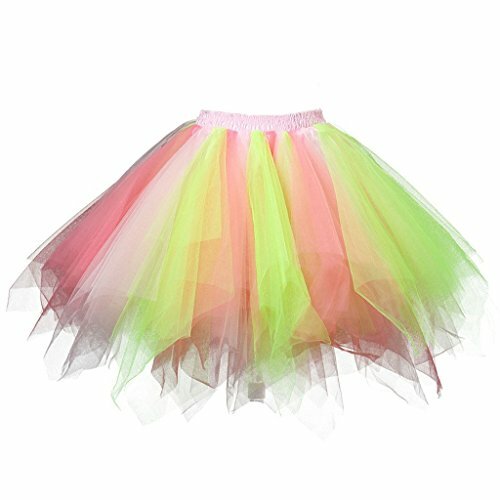 Complete your costume with a tutu that is made for the professional prima ballerina! 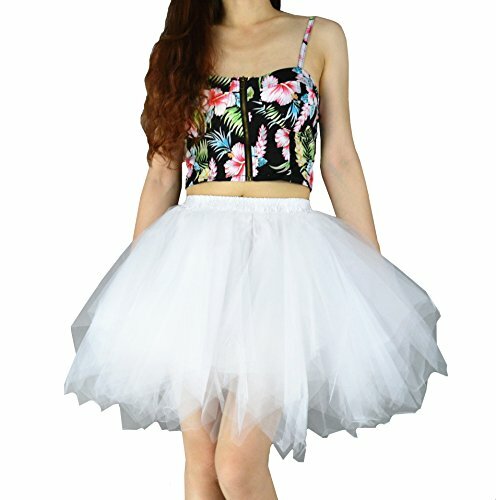 Order the Better line Tutu Ballet Skirt now. Play in HD When you love something but the price tag doesn't love you there is but one thing to do; DIY & MIYO.... i.e. Do-It-Yourself & Make-It-Your-Own. Total Cost of my version = $26 Leave your comments, tips and suggestions for things you'd like to see on my channel in the comment box below... Watch, Like, Share and Subscribe... P.s. Guest appearance by Teddy... Can't tell you when though ;-) Music: I do not own the soundtrack played in this video.